Looking for free printable March bullet journal and planner? You might love what I have for you today. I am releasing a super feminine monthly planner with pre-made bullet journal templates. It’s something that you can print and use right away! 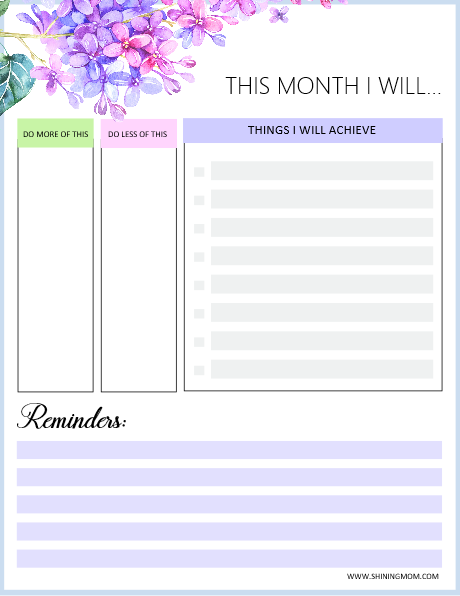 So if you’re thinking of planning the month ahead, this is one perfect planner to use. It looks so refreshing and it’s oh so pretty! It’s designed to help you stay organized and productive. I’m so thrilled to plan the month with you! Your March Bullet journal / Planner: So Beautiful! Oh, hello there! 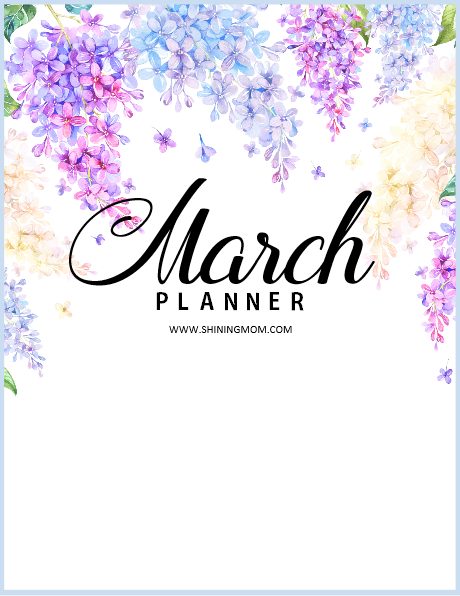 I am happy to announce that our March planner arrives early on the blog today. And guess what? It’s so beautiful! The watercolor flower element by Octopus Artis that I used for this month’s planner is definitely a stunner. Look! It is exuding so much grace and beauty! Ahhh… I am so excited to use this March bullet journal already! It’s definitely one planner to enjoy! Bullet Journal Templates and more! Keep scrolling to view what’s inside the planner. Each and every page is going to be delightful to use. Let’s check them out! If you have been following the blog for any amount of time, this is usually the layout that I use for the daily planners that I share. I always do so because I love the simplicity and functionality of this layout. 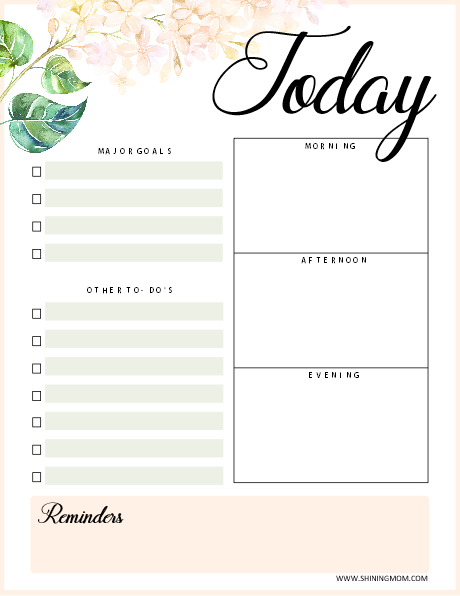 I enjoy using this daily planner to organize my day! It totally removes the overwhelm and it really helps me simplify my day! I always begin my day by identifying my priorities and then my other to-dos next. After that, I assign tasks for the morning, afternoon and evening. It totally works for me that way! There “Reminders” spot at the bottom of the page is where I usually write my pending or reminders for the next day. And sometimes, it is the spot where I write down my personal affirmations such as, “Good job, Khaye. You did well today!” That little compliment means a lot! Next up is another favorite page of mine. How I love to set goals and ideals each month because it inspires me to be a better version of myself. I like to write down the things I should do more or less and visualize the things I would like to accomplish. This practical page can be very useful for you and me! Try to use it, too! I also didn’t miss to include pretty cover pages for your Mach bullet journal and planner, like this one. It is so darling, isn’t it? 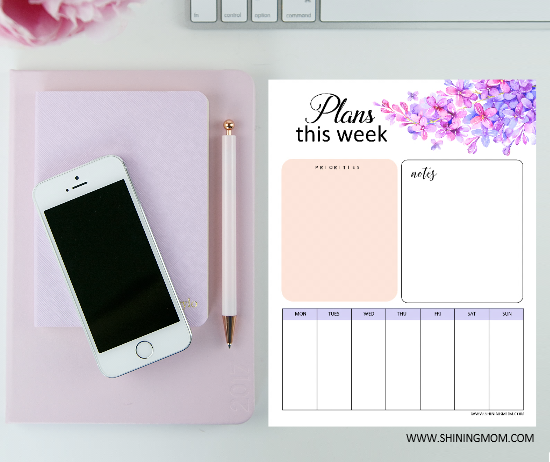 You will be getting more of these brilliant planning pages for your March Bullet journal and planner in your download so be sure to score the file. I think you will find this whole planner useful in organizing your month. You’ll be receiving a whole pack of pre-made bullet journal templates in your download! Wait, I’ve also added printable stickers and calendars for you! Yup, planning is going to be fun! Today’s freebie is basically a complete monthly planner that you can put altogether in a ring binder. Ger Your Free Printable March Bullet Journal / Planner Today! Print the March bullet journal / planner in US standard Letter Size paper with 8.5 x 11″ dimensions. LOVING THIS SHINING MOM PLANNER? CLICK HERE FOR OUR LIBRARY OF ORGANIZING PRINTABLES! Lastly, please help spread this freebie by pinning this post on Pinterest. Thank you! 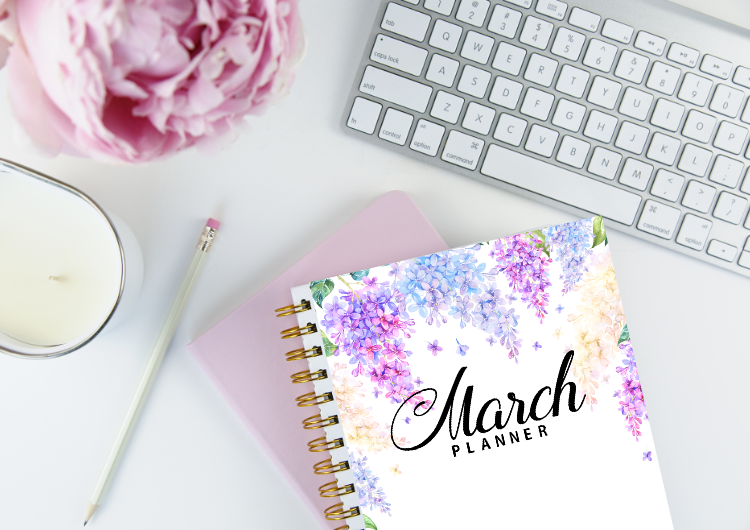 Please enjoy this free March bullet journal and month planner! Happy Planning! « Free School Planner: 43 Amazing Organizers for Students + Monthly Calendar!